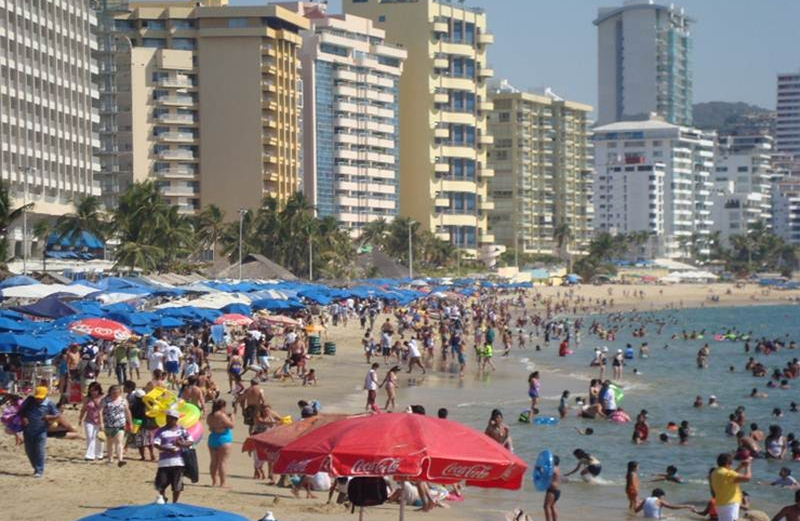 Several developments connected to public transportation are an integral part of Acapulco’s ongoing efforts to modernize and rejuvenate itself as a tourist destination. Acapulco city authorities have been working hard to complete a new public rapid transit system called ACAbús in time for the next influx of sun-seeking winter tourists. The system represents an investment of around $140 million, roughly two-thirds for highway and transit stop refurbishment and one-third for operating equipment (vehicles and travel card machines). ACAbús will connect the resort’s many tourism attractions and facilities. The main central axis is a 16-km (10 mile) long route from Las Cruces along Avenida Cuauhtémoc to Caleta, with 18 stops along the way. This portion will be confined solely to rapid transit articulated buses. Five trunk routes will supplement this central axis, each with a limited number of stops. The one of interest to most tourists will be that along the main Costera Miguel Alemán highway. 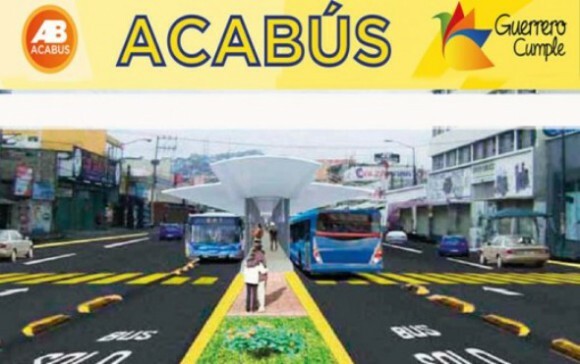 When the system is complete, the number of bus routes in Acapulco will be reduced from about 220 to 120, but travel times will actually be greatly improved. Authorities estimate that the system should cut regular traffic by about 25%, and claim that everyone will benefit as it will lead to older vehicles being removed from the roads and a decrease in total emissions. At a later stage, the ACAbús system will be complemented by a maritime equivalent Maribús. This water taxi system will operate over about 3 kilometers of coast and have six access wharves: Acapulco Diamante, Puerto Marqués, Icacos, The Maritime Terminal (Terminal Marítima), Playa Manzanillo and Caleta. It would cut some transfer times in half. For example, it is estimated that the Golden Zone-Zona Diamante trip would take about 16 minutes. A bike-sharing system, Acabici, is also planned. This would initially have 450 bikes distributed between 30 “stations”. The 270-million-dollar project, just begun by Mexican firm ICA, and dubbed Avenida Escénica (Scenic Alternative), is a 5 mile (8 km) toll highway that includes a tunnel 2 miles (3.3 km) long. It will slash travel time to a few minutes, instead of the hour or more sometimes required at present when traffic is heavy. This is the state of Guerrero’s largest infrastructure project for several decades. It will cost around $270 million, involve 1,000 workers and will take two years to complete. When the new link is opened, the tunnel will be the longest highway tunnel anywhere in Mexico. Does tourism in Acapulco match Butler’s resort cycle model? When did Acapulco first become a tourist resort?